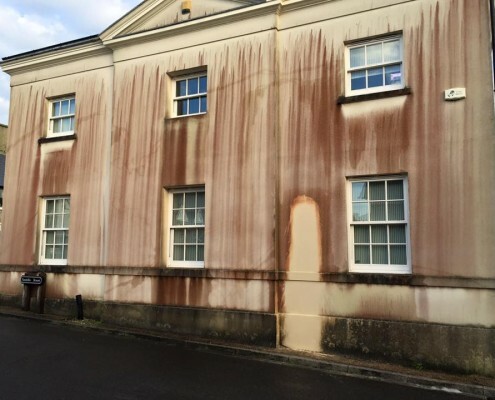 Is your rendered building looking dirty and unkempt, does the appearance let your building down as far as first impressions go to any visitors? 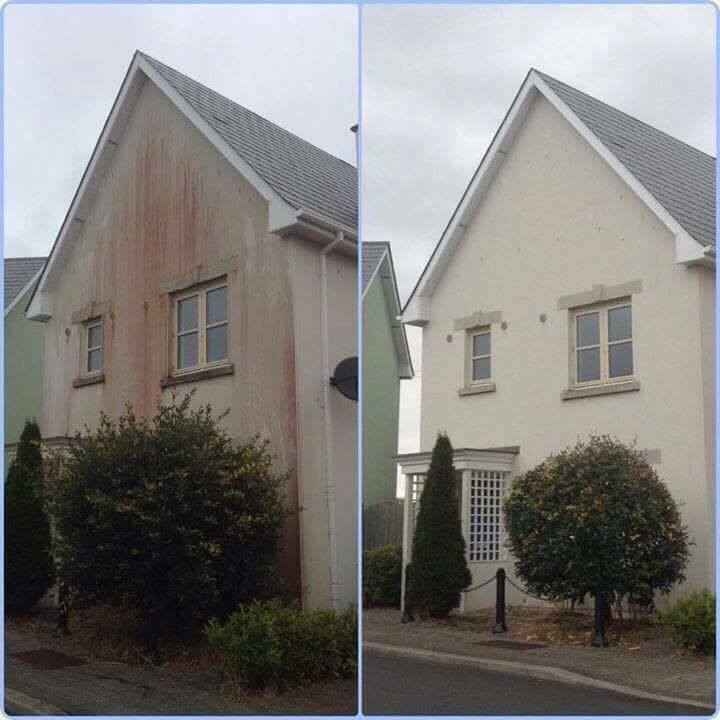 If so did you know that all types of render from K-Rend, Weber, Monocouche, Parex render systems etc. 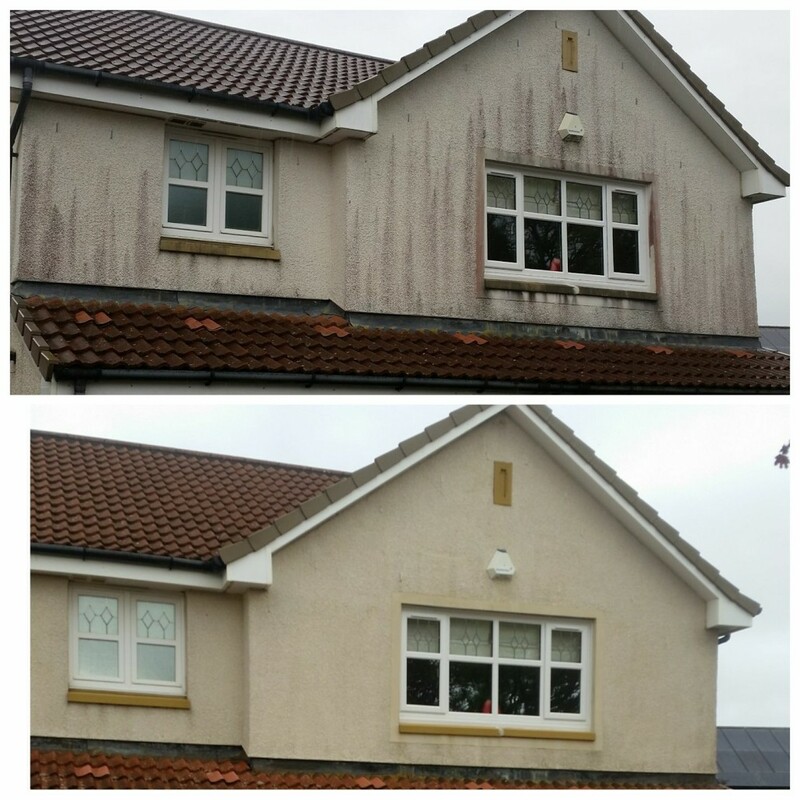 can all be cleaned by elfords to a high standard. 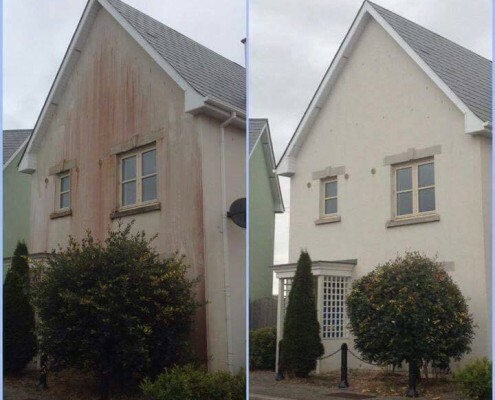 We can bring them back to how they once were before algae, air born dirt and the like took hold and left them looking somewhat worse for wear. 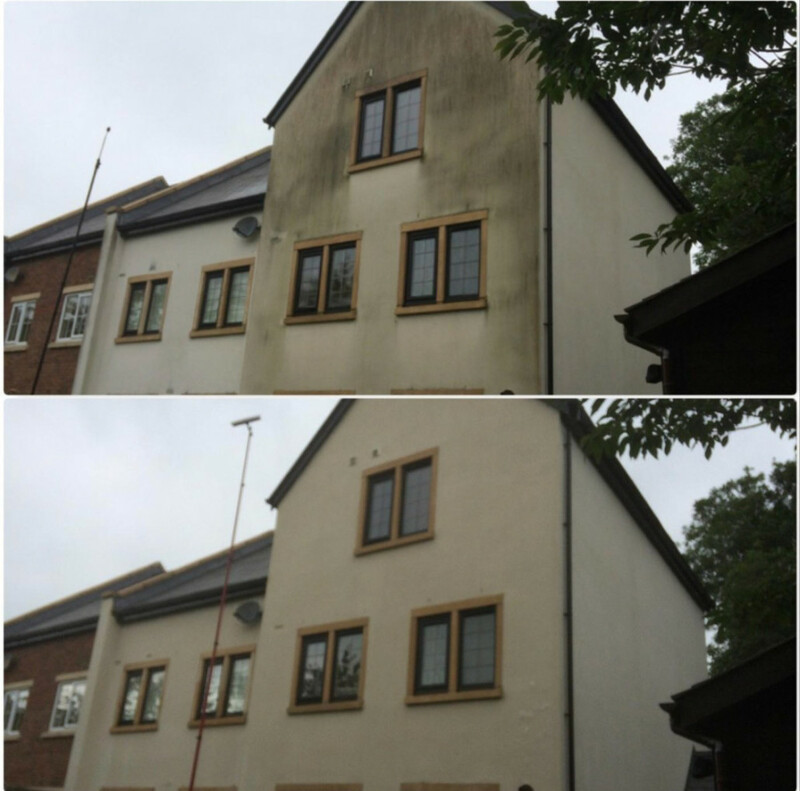 We can also clean traditional painted sand and cement style renders, either just to clean up if the paint is sound or in preparation prior to new painting. 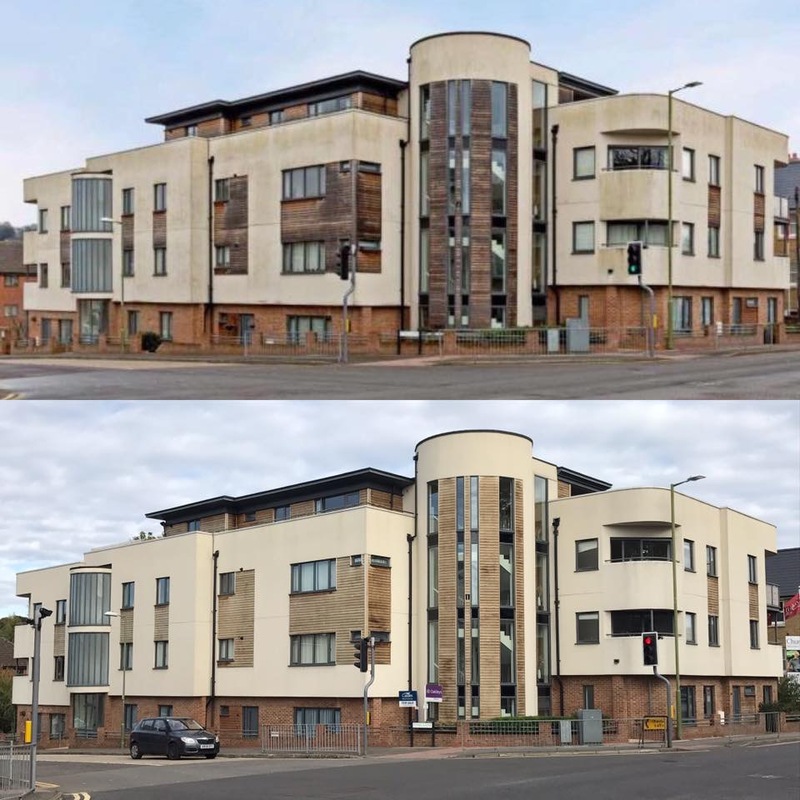 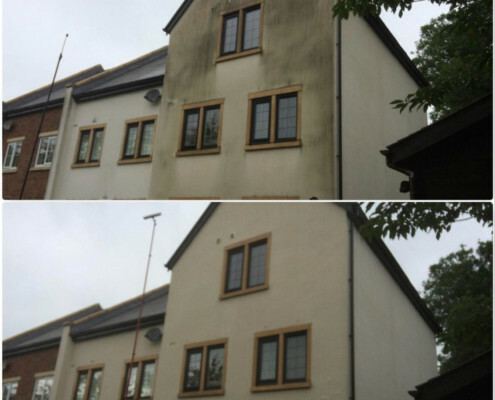 Modern through coloured render companies in fact stipulate in the routine maintenance advice to regularly clean your rendered building to ensure the pleasing aesthetics and integrity of the rendered finish is maintained to a high standard. 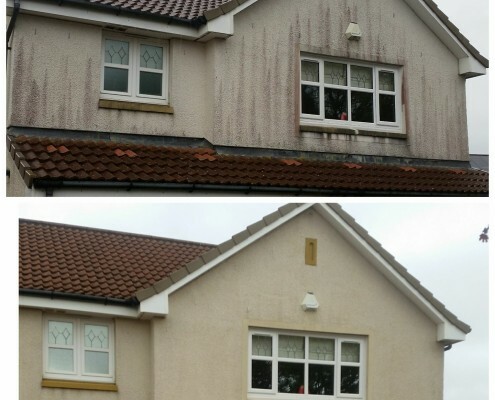 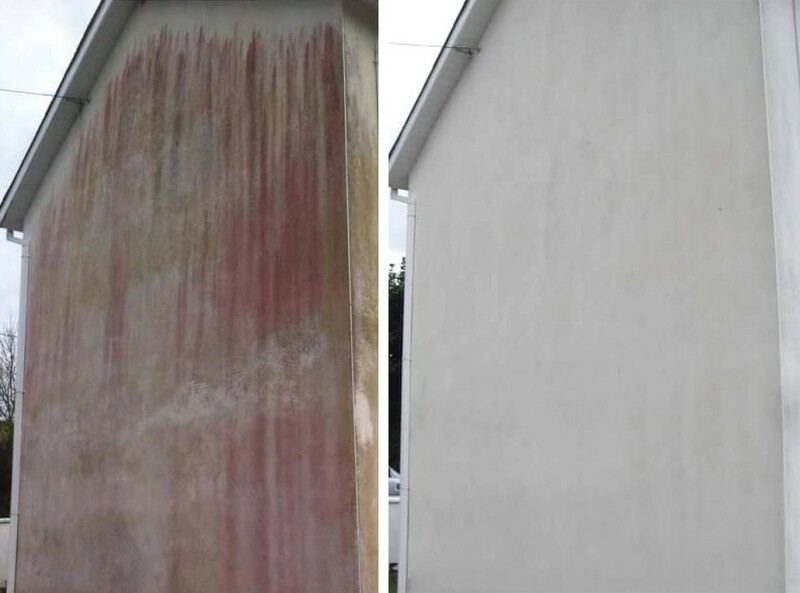 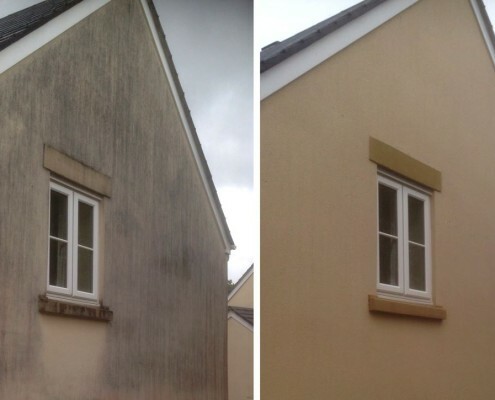 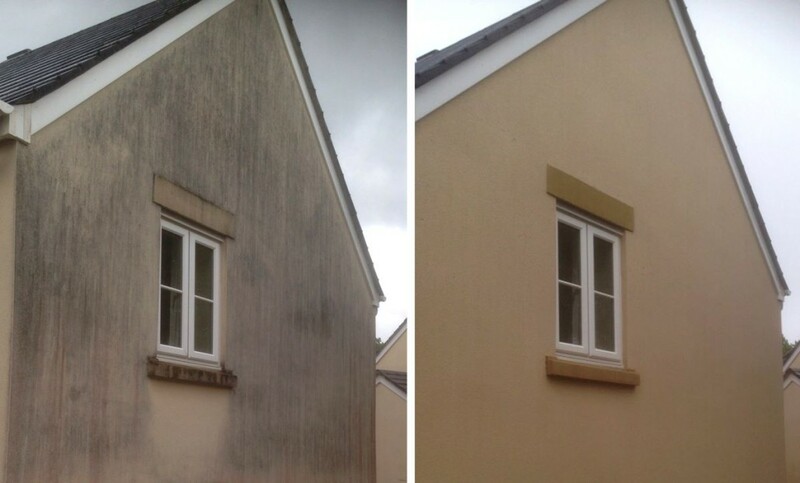 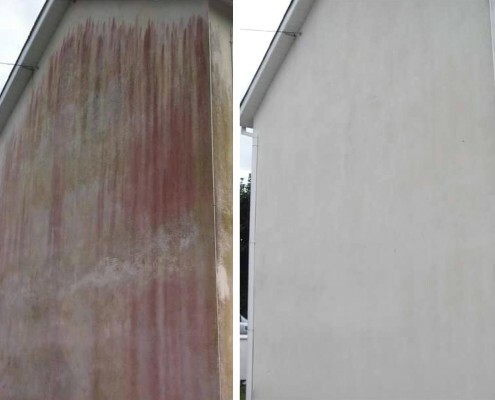 If this routine maintenance is not kept on top of it can lead to the biofilms on the surface taking hold and eventually breaking down the render, which could lead to costly repairs and at worst result in very expensive removal of the existing render in preparation for new render to be applied. 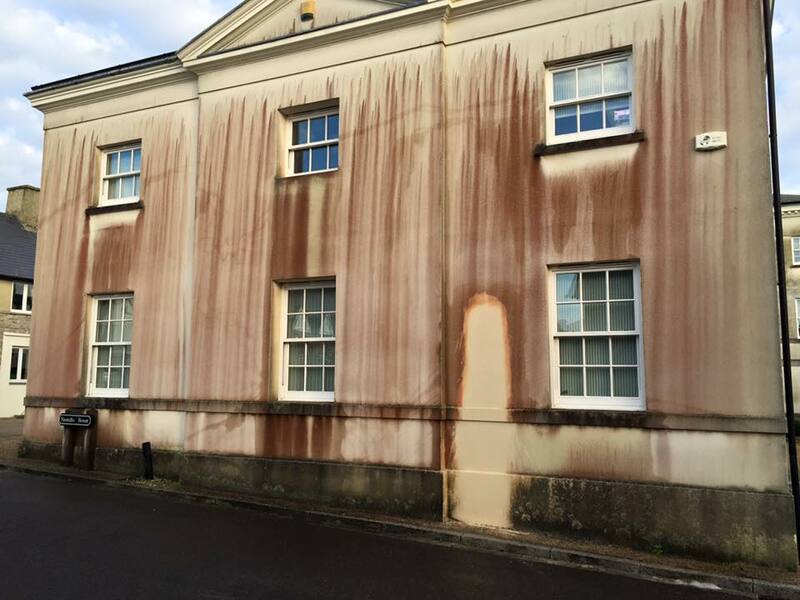 Please at the very least if you find your render deteriorating do not make the mistake of painting over a through coloured render finish with a totally unsuitable paint, as has often been seen. 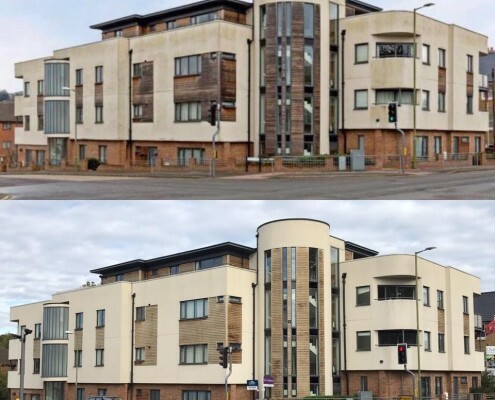 These types of renders are designed as low maintenance paint free finishes that can be cleaned instead but if one really wishes to re-paint to change the colour for example the type of paint that must be used is very pricy as it needs to be breathable to ensure no damp issues occur inside the building.